With COP24 set to open its doors on Monday, the Carbon Tracker thinktank has published a report which demolishes one of the arguments the fossil fuel brigade cling to – the economic advantage of burning coal. 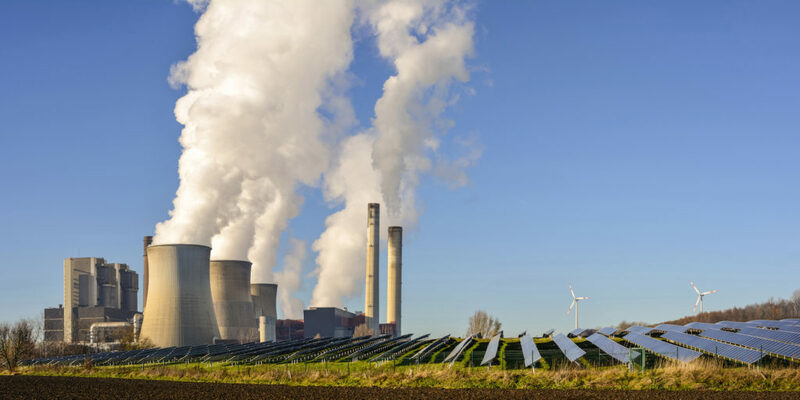 According to the report, rising fuel costs and the falling cost of renewable generation mean solar power is not just cheaper than coal, but that a considerable proportion of coal generation capacity is running at a loss. The thinktank claims its report is the world’s first analysis of the profitability of 6,685 coal plants worldwide. The sample size represents around 95% of a globally operating coal generation capacity of 1,900 GW. The analysis also examines 90% – 220 GW – of the coal-fired power stations under construction. In reviewing the data, the report’s authors found around 42% of global coal capacity is operating on unprofitable margins. By 2040, says Carbon Tracker, that figure could rise to 72%. The authors highlight high fuel costs, as well as carbon pricing and air pollution regulations, that are driving up the costs of coal generation. Moreover, 35% of the coal capacity currently online is more expensive to run than the cost of new renewable generation capacity. That means PV is not only cheaper on a new-for-new basis, it is also less expensive to build a new pv plant than continuing to fire existing coal-fired power stations, with that metric applying to the most expensive 35% of power stations today. The report’s authors say, as early as 2030, it will be cheaper to build renewable generation capacity than continue to fire 96% of coal generation capacity. Carbon Tracker has calculated the potential savings for key markets. It says China could save $389 billion by closing coal plants up to 2030, while the EU could save $89 billion. The potential savings in the U.S. could reach $78 billion, and in Russia, $20 billion. According to the report’s authors, governments will have to choose between subsidizing coal or raising prices for customers. In many markets, governments are determining electricity prices through energy regulatory bodies. These are faced with either raising electricity prices – to the detriment of end consumers – to make coal profitable, or paying coal generators the difference to balance the books. Phasing-out coal would save customers billions of dollars, says Carbon Tracker. If coal plants were phased out in line with the Paris Climate Change Agreement, coal companies in South Korea could lose $92 billion. In India the losses would amount to $76 billion and in South Africa, $51 billion. Globally, there are just over 2 TW of coal capacity operative or under construction. On average, coal generation in the EU is running at a loss of $10/MWh, with that loss set to grow to $32/MWh, according to the report. In conducting the study, Carbon Tracker used what it described as a revolutionary method to assess profitability. The thinktank sourced satellite imagery to track plant activity, and deployed machine learning software to estimate each plant’s utilization rate. The group says the technique was checked against known data from the U.S. and EU, and found to be 90% accurate. Meanwhile, Wood Mackenzie Power & Renewables has released a report stating coal “will bear the brunt of an accelerated energy transition”. Its analysts foresee coal’s generation capacity halving by 2040, even without an international carbon pricing scheme. The market analysis group stressed the current trajectory, as well as a slightly accelerated scenario, are insufficient to support the less-than-2°C global temperature target set by the Paris Agreement.